The Patagonia Nano Puff Jacket is built to be versatile; whether you’re wearing it as a mid layer or on its own, it’s guaranteed to keep you warm. Made from DWR-coated recycled polyester, it’s water-resistant and windproof and insulated with 60g Primaloft Gold fibres, which stay warm, even when they get wet. It features two handwarmer pockets, and adjustable hem, as well as an internal chest pocket which it can be stuffed into, complete with a carabiner loop for multi-way transportation. Primaloft Gold is a high quality synthetic alternative to traditional down insulation. It’s structure creates millions of pockets of air trapped between it’s fibers which heat up and insulate you from the cold outside. The synthetic fibres have been engineered to be water repellent, meaning that even when wet they retain their loft and they they dry quickly. Primaloft is also hypoallergenic. It is slightly heavier and bulkier than the equivalent amount of down however due to it’s properties this compromise is worth it, especially if it’s likely that your insulating layer will get wet. Patagonia have been recycling polyester since 1993 as it’s so much better for the planet than using un-recycled polyester. 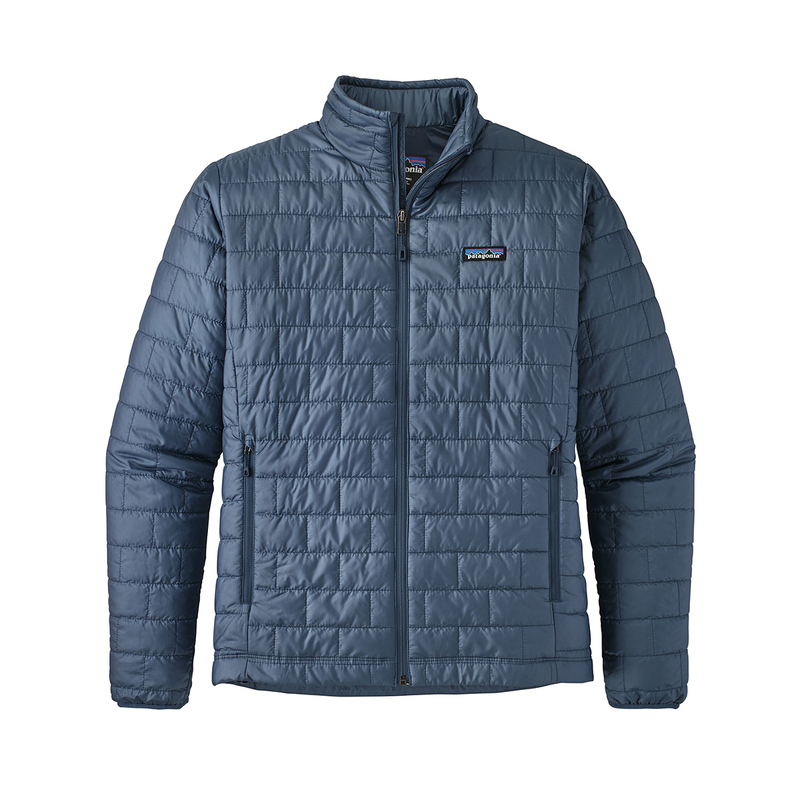 Patagonia make use of many different materials, such as plastic bottles, worn out polyester products, and manufacturing waste, which not only constructively uses materials which are hard to dispose of, but uses less energy than making polyester from scratch. Patagonia offer an ‘Ironclad Warranty’ which means if you’re dissatisfied with the performance of a product at the time of purchase or afterwards, or it breaks unexpectedly, they will provide a free exchange, refund or repair. They will also repair damage due to wear and tear for a reasonable price, and have a section on their website that teaches you to repair your own clothing, so there is no need to unnecessarily buy new gear. Right from the start, Patagonia has been at the forefront of environmentally friendly production, and are still one of the only companies in the world that offer a completely transparent supply chain to anyone who cares to look. It all started after the opening of the first Patagonia store; chemicals used in the farming of the cotton started to give the shop staff headaches, so they developed fleeces made from recycled plastic bottles and started to use exclusively organic cotton. As the time’s gone on, Patagonia have implemented a traceable down program, use responsibly sourced merino and Bluesign approved materials. The recycled materials they work with are even more impressive: cotton, nylon, polyester, down and wool, as well as making use of natural materials such as hemp and undyed cashmere. Aswell as making use of the best possible materials and production methods, Patagonia also make sure everyone of their employees is treated fairly, from the shop floor to factories all over the world. They also donate a percentage of their yearly profits to environmental initiatives and community projects across the world.